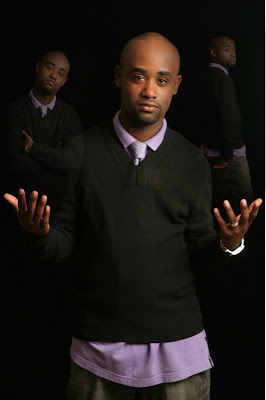 (Thursday, October 14, 2010) At a time when people are struggling to pursue their passion or having to give up on their dreams, visionary and multi-talented Tray Chaney is just turning the page on what has been an incredible life. After being in the spotlight since he was just eight years old, MTV announced this week that the actor/author/recording artist had just released a free mixtape online called JACK OF ALL TRAYS. "This is just a thank you to my fans," says Chaney, who has seemingly been moving non-stop over the past decade. "I want to show them that I appreciate their support as well as let them know what to expect from me next." For many the public life of Tray Chaney began with his five year role as Poot Carr on the popular HBO series THE WIRE. It was there that he was able to showcase his range as an actor and prove that he could stand toe to toe with the best of them. After the show wrapped, instead of just waiting for the next gig, Chaney took his career into his own hands and penned his autobiography THE TRUTH YOU CAN'T BETRAY. "People had gotten to know a character (on THE WIRE)," says Chaney. "I wanted to let them in to who I really was." From there it was being featured in documentaries, red carpet events and even supporting causes close to his heart like the importance of literacy (being spokesperson for The Write Stuff Literacy Campaign) and bringing attention to the difficulties of individuals living with disabilities (being an ambassador for the non-profit Community Options). "I have been blessed with so much in my life," Tray says, "so if I can make a difference with just my name recognition for something that I care about, I'm going to do it." While juggling family life, his career in television and film and promoting his book, Chaney was also preparing for what would be his newest endeavor: letting the world know about his love of music. It was something that had always been there, but he wanted to make sure he waited until the time was right to fully share it with the world. That time seems to be now, and the first endeavor, the mixtape entitled, JACK OF ALL TRAYS, gives you a snapshot into the mind of a true creative individual. Whether you're talking about the club tracks like MONEY IN MY WALK or BABY LET'S GO (feat. G-Mann and Cherri), introspective tracks like TRUE STORY and DELIMA (feat. Jazz of Dru Hill) or inspirational tracks like DEAR HAITI, this project of original songs covers seemingly every aspect of the young man's life. Expect to see Chaney touring the country soon doing show to promote the mixtape and his other ventures in the near future. For him, there is no limit to how far he can go. "I want to do it all," says Chaney, "and I want my life to be a testament to others that they can do it all as well. As long as they believe in themselves and work hard, it will all pay off." The mixtape JACK OF ALL TRAYS is avaiable for free download by going to http://tinyurl.com/traychaneymixtape. Cyrus Webb is the Editor In Chief of Conversations Magazine and can be reached at cawebb4@juno.com or 601.896.5616.